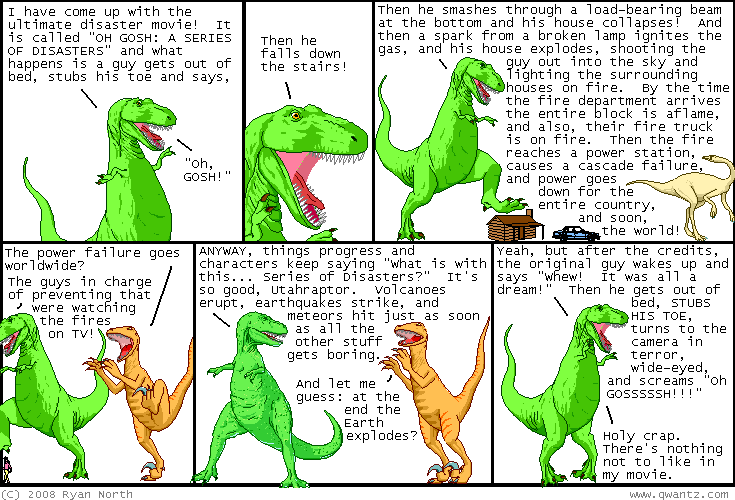 Dinosaur Comics - March 12th, 2008 - awesome fun times! March 12th, 2008: Sometimes when I post movie outlines in comics people email me to say that this film already exists. I'm kinda hoping that will happen here, because then I'll get to watch it, but I think the problem with my ideas is that they are "unfilmable"? One year ago today: men: flapper swimsuits are what you desire but cannot express. it's okay. i will do the expressin' for the both of us.